﻿﻿CCC structures and a lake full of fish draw solitude seekers to Meridian State Park. ﻿﻿Not long after she got the news, Faith Ford Biggs, brokenhearted and grieving, loaded up her camping rig and escaped to Meridian State Park northwest of Waco. In fact, for 35 years, the 505-acre, wooded getaway has drawn Biggs, who relishes the extreme quiet these days with her two miniature pinschers. Meridian State Park has welcomed visitors like Biggs since 1935. That’s when workers with the Civilian Conservation Corps finished building the limestone refectory that overlooks 72-acre Lake Meridian. They also constructed the lake’s dam, bridges and other park infrastructure. Speaking of birds, endangered golden-cheeked warblers nest in the park from early March to late June. Keen-eyed hikers may spot some along the Shinnery Ridge Trail, a 1.64-mile loop west of the lake. Whenever Biggs camps at Meridian, she stays in a pull-through site with full hook-ups. Other overnight options include primitive tent sites, water-only and water/electricity sites, and screened shelters with electricity. A park store sells ice, firewood, hiking sticks and souvenirs. 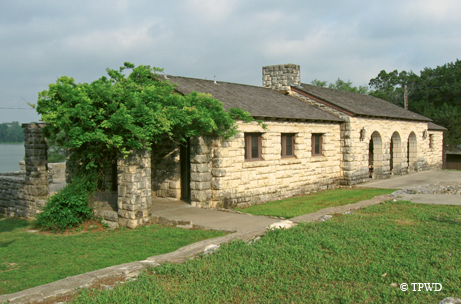 Meridian State Park is about 3 miles southwest of Meridian off Texas Highway 22. For more information, visit www.tpwd.state.tx.us/meridian or call 254-435-2536.